Boca Raton, FL, June 2009 – BioAllergenix is pleased to announce the appointment of Dr. 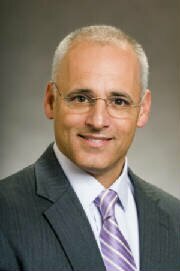 Guy Annunziata to the position of Chief Clinical Officer. He comes to BioAllergenix after an impressive career in chiropractic care, practice management and academic instruction. With over 24 years in the industry, Dr. Annunziata will help further BioAllergenix’s mission to develop and offer safe and noninvasive therapies to alleviate suffering brought on by chronic health conditions. In the capacity as Chief Clinical Officer, his primary focus will be on training, education, management, and development of practice protocols in the use of neurological stress reduction therapy or NSRT. Established in 2007, BioAllergenix is an emerging industry leader in the holistic health care space, offering safe and effective alternatives to alleviate a myriad of health related conditions. Dr. Guy graduated from Life College, School of Chiropractic and also received his Physiological Therapeutics Board Certification from the National College of Chiropractic. Dr. Guy has expertise in lower back case management and myofascial pain syndrome, subluxation, postural correction and functional rehabilitation. Dr. Guy’s practices in both Atlanta and South Carolina employed state-of-the-art diagnostics, including high frequency x-ray, NCV and DSEP Studies, MRI and CT Scans. He has also served as COO of the Rehab Clinics of America which was sold in 2008. Dr. Annunziata, is recognized as a premier educator in the chiropractic community through his company “Advanced Health Care Solutions” offering continuing education nationally with courses on a variety of topics which include low back case management, myofascial pain syndrome with trigger point therapy, spinal decompression, whiplash case management, medical documentation, physical therapy and rehab of the spine. Since September 2001, he has served as a post-graduate instructor at the University of Bridgeport and, most recently, at LIFE University. He has raised the bar in continuing education capabilities through the establishment of online courses. “Dr. Annunziata’s collective experience in practice and as an educator made him the perfect fit to expand our training programs further educating our customer base and lead the work necessary to further refine our practice protocols while overseeing our clinical research,” says Adam Silbersweig, President of BioAllergenix. BioAllergenix was established in 2007 with the introduction of the BAX-3000, the only fully-automated, patented and FDA cleared LASER (Light and Sound Energy Relaxation) Therapy system. BioAllergenix’s technology combines NSRT (Neurological Stress Reduction Therapy) and environmental substance exposure to reduce or eliminate inappropriate anatomic nervous system mediated responses. These responses are the triggers for symptoms associated with numerous chronic conditions such as allergies, asthma, migraines, chronic fatigue syndrome, irritable bowel syndrome, eczema and other skin conditions. BioAllergenix is committed to utilizing its technology to provide safe, fast, painless and noninvasive therapeutic alternatives rooted in neurological stress reduction therapy.